For four weekends in March, the National Honor Society of Winchester High School will be offering their time, talent, and “elbow grease” to provide help with any jobs that are needed throughout Winchester. The students will be in teams of two, four or six depending on the size of the job, they will be providing assistance to those who cannot get to all the jobs on their to-do list. 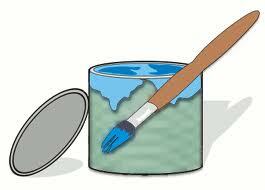 Students are available for such tasks as painting, raking, shoveling, cleaning, shopping, moving, etc. Community members may schedule the students for just one task or a number of activities for which they might need more manpower. Please contact the National Honor Society Advisor directly to set up as appointments are not made through the Jenks Center. Please email [email protected] or call Nancy Smith at 781-721-7020 to schedule and to add your name and task to the list, along with what weekend day works best. Arrangements will be made to coordinate the effort. The Social Security Administration announced that starting on December 30, 2011, social security recipients will receive a 3.6 percent increase in benefits. Increases in social security benefits are based on a cost of living adjustment (COLA). For the first time since the automatic COLA adjustment was put in place (1975), there were no increases in benefits for 2010 and 2011. The average monthly social security check is $1,082.00. With the 2012 adjustment, that will mean an additional $39.00 per month. The largest increase was in 1981 when benefit checks increased 11.2 percent. Every month I send an E-Newsletter that has articles on estate planning and elder law topics. If you would like to subscribe to this E-Newsletter please feel free to sign up. This months topic is “Elder Law Elements.” Elder Law, unlike many other areas of law, is centered on the needs of the client – not a specific area of the law. Elder law attorneys help clients with estate planning, protecting assets from the overwhelming cost of a nursing home, helping spouses when one may have to go to a nursing home, housing issues – even bankruptcy, which may be the result of a catastrophic illness. Attorneys practicing in this area of law help guide clients and their families through some of life’s most difficult challenges. Every month I send an E-Newsletter that has articles on Estate Planning and Elder Law topics. If you would like to subscribe to my E-Newsletter, please feel free to sign up. The topic this month is the challenge facing parents of children with Special Needs. With a little advanced planning, a potential inheritance may be used to supplement any benefits being received, but not financially disqualifying the child from receiving those much needed governmental benefits. Every month I send an E-Newsletter that has articles on estate planning and elder law topics. If you would like to subscribe to this E-Newsletter please feel free to sign up. January’s topic examines the potential dangers of joint ownership. For more information on joint ownership, and possible alternatives,here is an article I wrote in June 2010. It is something no family expects or wants to do. It may be one of the most difficult decisions a child has to make, but there is always the possibility that a parent or other loved one will eventually need a skilled nursing home. Moving a parent from home to an assisted living facility may be difficult, but placing them in a nursing home may be far more traumatic. Jonathan Rauch, of Atlantic Magazine, in his article titled “Letting Go of My Father,”described the emotional journey he experienced placing his father in an assisted living facility. Moving a parent to an assisted living facility, in some ways, may be less traumatic, but is still heart wrenching. Moving a parent to a nursing home, many times the next step in the care cycle, can be an even more difficult decision. 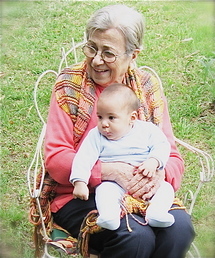 The decision may be forced on a family in a number of ways: the assisted living facility has called to say the person can no longer stay in assisted living; money is running out for care that had been given in the home; the family member who had been devoting time to the care decides he or she can no longer safely provide for the person. Far more likely is that the loved one has been in the hospital, and the hospital is suggesting that the person be discharged to a nursing home for long-term placement. Often, decisions made in the middle of a crisis are not the best. If a family member is ill, or starting to decline, start looking at facilities before you actually need to make the placement decision.How do you choose? What nursing home is going to be the right fit for the person and family? The first step is to research. If geographic location is important so that a spouse or other family can visit regularly, check with friends who may have placed a family member in a nearby community. The Massachusetts Office of Health and Human Services publishes a report on Nursing Home Satisfaction. The surveys were done in 2005, 2007 and 2009. A family member of residents in every facility in Massachusetts were sent questionnaires, and asked to rate the nursing home from the consumer point of view. The questions covered a wide spectrum of facility services, including: the staff, physical environment, activities, personal care services, quality of the food, and residents’ personal rights. Each facility has an overall rating for satisfaction. This Summary of Individual Facility Results report is a wonderful resource and starting point for selecting a facility. Medicare also does a yearly review of nursing homes throughout the country. For this report, Medicare collects information on over 15,000 nursing homes and publishes the data.Unlike the Massachusetts survey, Medicare looks only three categories: Health Inspections, Staffing, and Quality Measures (e.g. how well the nursing home helps people keep their ability to dress and eat, or how well the nursing home prevents and treats skin ulcers). Nursing homes are rated from one to five Stars, but only ten percent of nursing homes in each state may be rated Five Stars, so don’t eliminate a facility just because it may rated at Four Stars. Visit the facilities. Then visit again. Nothing is better than a visit to the nursing home – except one or two more visits. Medicare has a Nursing Home Checklistthat you print out and bring with you on your visits.Although never an easy task, placing a parent in a facility in which you have confidence can ease the anxiety. London recently opened its first playground for seniors. Playground for SeniorsThe purpose of the playground is to encourage people, seniors and those recovering from surgery, to exercise on the low-impact equipment, without having to commit to a gym membership. According to the article, these types of outdoor playgrounds are not uncommon in Europe. There may not be a specific senior playground locally, but there are several wonderful options for seniors to participate in exercise programs geared for them. The Jenks Center in Winchester offers exercise classes three times per week. Details may be found on the Jenks Centers web page: Jenks Center (click on Calendar to see the dates and times of the classes). Most Councils on Aging will offer classes geared specifically to older athletes. Not only do these classes have appropriate exercises, it is often a way to get out and participate in activities without making any long-term commitment to a membership. There are 348 Councils on Aging in Massachusetts, serving more than 400,000 families. A list of the Councils on Aging may be downloaded from the Massachusetts Executive Office of Elder Affairs. The Burlington Mall opens the Mall at 7:00 AM to people of any age who want to walk inside during inclement weather. “The Burlington Mall Heart and Soles Club” was established in 1991, and is free. More details may be found on the Burlington Mall Groups web site: Mall Walking. A full lap around the lower level equals .75 miles. Many other Malls across the country open their doors early for walkers. To find out the times and requirements, call your local Mall for details on the hours and entrances to use.